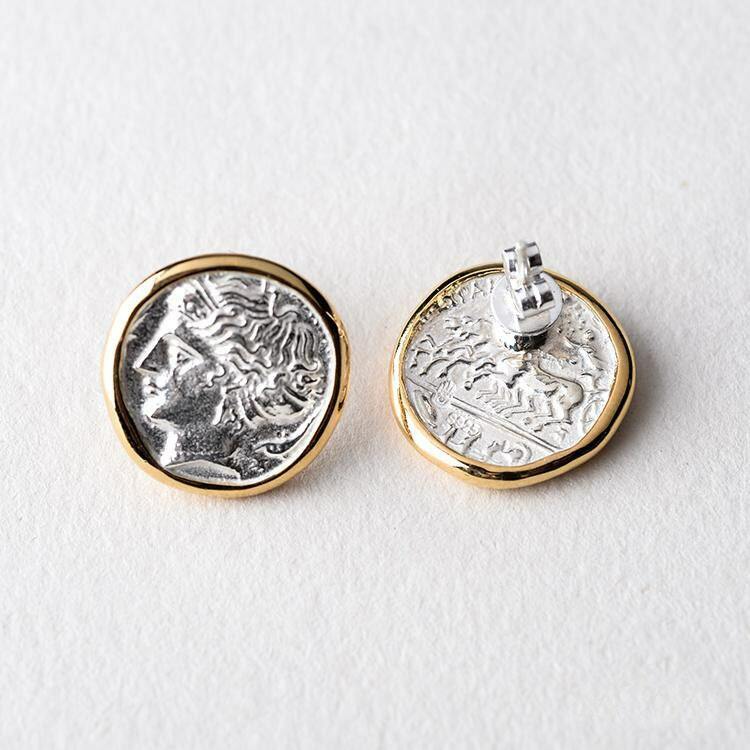 Ancient coin earrings are crafted in the shape of large studs - an assertive and whimsical design if you are looking for ‘something different’. 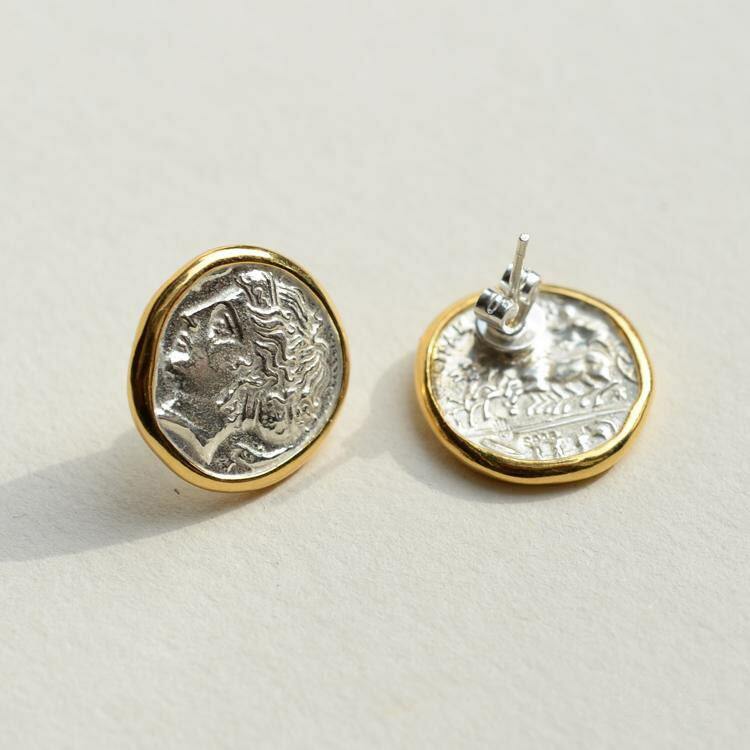 The coin used is a replica of the 10 drachma coin used in ancient Greece around 2500 years back. The famous sculptor Kimon had designed the coin originally. 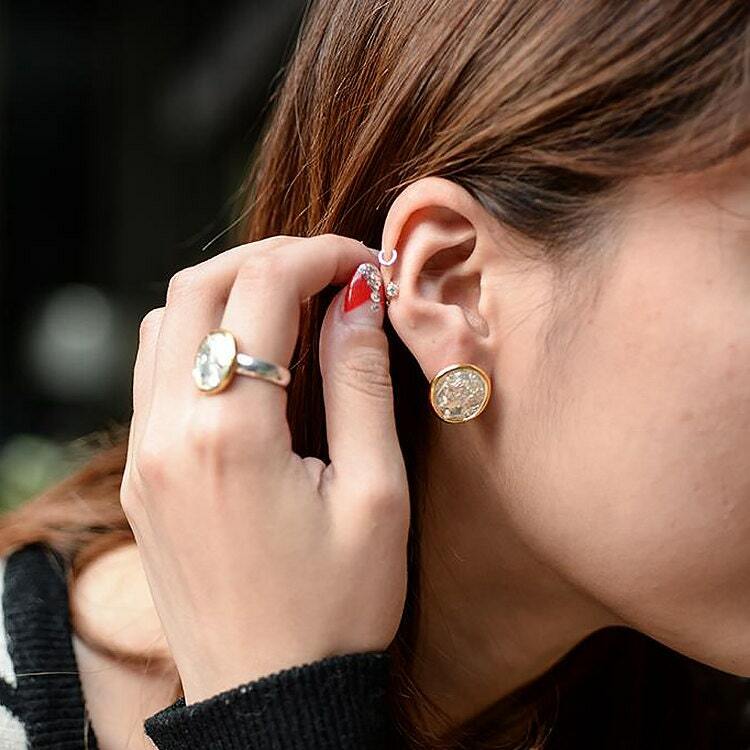 We have spiced up the silver coin earring by adding 24K gold at the edges of the coin. 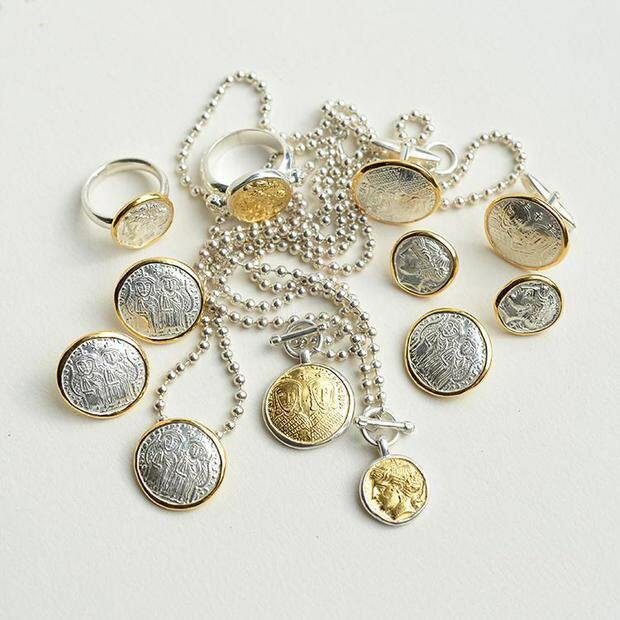 You can choose between gold plating and a solid gold wrapping. 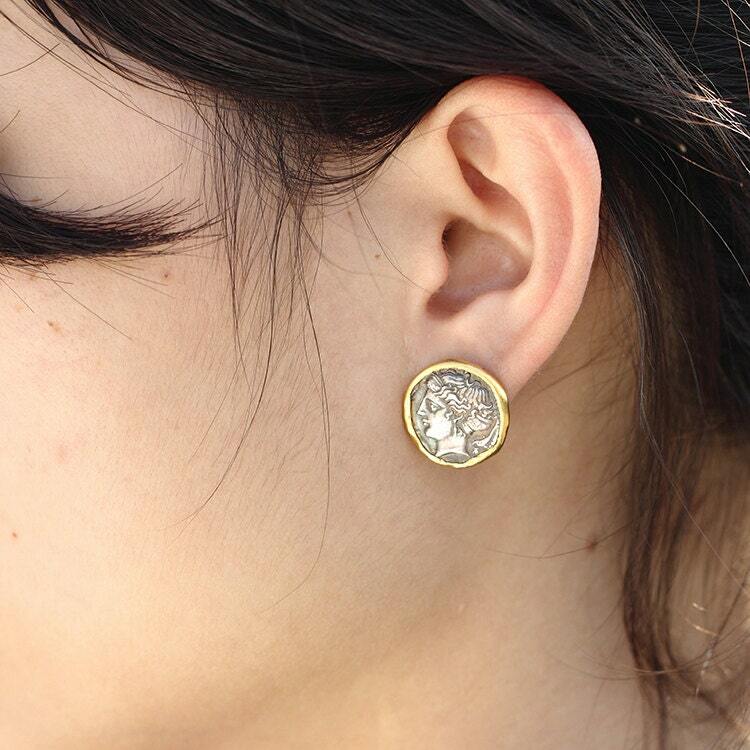 The coin stud earring is sold in singles and pairs.